I see that the high street fast food retailer, Pret A Manger, is to train prison inmates to be baristas and give them jobs on release. It will be cappuccinos and lattes behind bars in some prisons soon, as Pret pilots a scheme in 12 women's jails in England. Training sessions will be held in specifically-created coffee shops with drinks served to inmates. Cappuccinos, espressos, flat whites, lattes and mochas, as well as various syrup chots of caramel, hazelnut and vanilla will be on the menu for the locked-up. 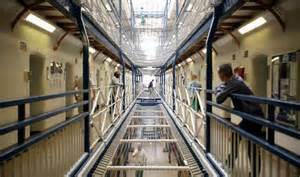 Finding jobs for inmates is a priority for the Prison Service, with the Justice Secretary, Michael Gove, saying that it will help stop re-offending. 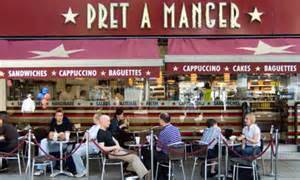 Those that go on to land a job at Pret A Manger will be paid £8.50 per hour, be able to eat free food during work and will attend two 'legendary' Pret parties a year and will receive 28 days of holiday. The scheme was due to start at Holloway Prison, a 600-capacity women's jail in North London, last year but the Government decided to close the prison, once the home to Rose West, this summer to cut costs. Sadly, Pret had already installed two coffee machines before closure was announced. The food retailer is however committed to working with prisons to help offenders get jobs and an apprenticeship scheme set up by their Pret Foundation Trust lets offenders start with a clean slate and has offered 300 places to homeless people and ex-offenders. Well done Pret, if only there were more retailers like you! CHOCOLATE - a life-giving elixir?